Your 1st Choice for Veterinary Care! Coldwater Animal Hospital is a state of the "heart" as well as a state of the art animal hospital! We love to help fellow animal lovers and their pets and strive to provide great medical care in a friendly customer service environment. CLICK HERE to take a virtual tour of our hospital or stop by for a personal tour during regular business hours. We look forward to serving you and your pets! Our clients want their pets to live forever! While this might not be possible quite yet, we are committed to taking significant steps to add to the quality of life of each of our patients. Your pets rely upon you and our team at Coldwater Animal Hospital to detect concerns early when they are easily managed. Check out our WELLNESS PLANS for the absolute best value in preventative veterinary care and find out how PEACE OF MIND EXAMS can calm your worried mind and comfort your troubled heart. If you want to ask a question call 801-782-9400 or email us for non-urgent concerns. You can also subscribe to our newsletter which is created especially for dedicated pet owners and people interested in exploring the veterinary profession as a career. of your family and our family! 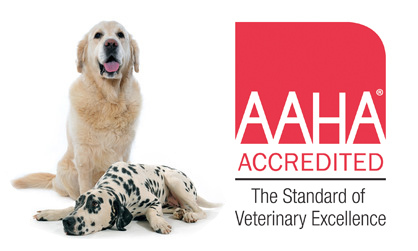 We are excited to announce that we have earned our AAHA accreditation! We were recently evaluated on approximately 900 rigorous veterinary standards and are now proud to call ourselves an AAHA-accredited hospital. Coldwater Animal Hospital is proud to serve the North Ogden UT area for everything pet related. Our veterinary clinic and animal hospital is run by Dr. Val Poll, who is a licensed, experienced North Ogden veterinarian. 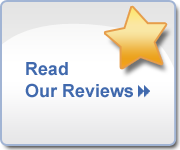 "Paul was extremely helpful with my pomeranians ultrasound and exam. he explained in detail what to expect with the puppies delivery and the precautions to take and signs to look for. The vet technicians were also wonderful. Very attentive, time sensitive didn't rush us out or keep us too long. They taught me many things I wouldn't have known in dealing with pomeranians and delivering puppies. I am extremely grateful for this Vet. would recommend them to everyone!" "Absolutely, hands down the best vet I have every taken my dog Lemon to. She have been to a lot of vets due to chronic condition and the vet here was the first person to give her relief. They have also been so accommodating when my dog who is ten needed same day care. I recommended this vet to everyone and I will always utilize them until my time here in Utah is done. Thank you cold water for the outstanding work you do, being so friendly and understanding to me and so loving to my dog."